In this piece Mr O’Toole appears to assert that the Belfast Agreement ‘smudged the boundaries’ between nation states. This, naturally, would lead the writer to conclude that there is some ambiguity about the status of the Northern Ireland border. This confusion is fed by the all-things-to-all-people nature of the perverse Belfast Agreement, but even that morally reprehensible capitulation to republican terrorism is remarkably clear on the question of sovereignty. In Section 5 (6) of the Northern Ireland Act 1998 it is clear that British Parliamentary sovereignty is fully retained. This is one part of the agreement that is remarkably clear and concise. This power would also allow Parliament to withdraw from the British-Irish treaty underpinning the Belfast Agreement, and repeal the Northern Ireland Act 1998, if it so desired. I personally believe that Unionism should deploy the leverage currently available and become persuaders for a repeal the Northern Ireland Act 1998 and withdrawal from the British-Irish treaty, especially in light of the increasingly aggressive Irish Government attempts to undermine the sovereignty of Northern Ireland. This, in my view, is the solution to the somewhat contradictory commitments made by the British Government. The Belfast Agreement makes committments in relation to North-South co-operation, which appears to have been further emboldened by paragraph 49 of the UK-EU ‘deal’. The Belfast Agreement, and paragraph 49 of the monstrous UK-EU ‘deal’ are then completely contradicted by paragraph 50 of the same deal, which makes clear that there will be no internal borders within the United Kingdom. 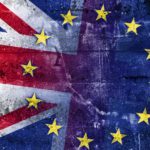 Full regulatory alignment between Northern Ireland the Republic of Ireland would, by necessity, cause there to be regulatory divergence between Northern Ireland and the rest of the United Kingdom. This would be constitutionally absurd and lead to a def-facto economic united Ireland. Unless, of course, the ultimate plan is to completely betray the will of the British people by keeping the entirety of the United Kingdom within the Customs Union and Single Market. However, the circle of constitutional contradictions could be squared, as aforementioned, by quite simply tearing up the Belfast Agreement. It has failed and will continue to fail. Withdraw from the British-Irish treaty underpinning the agreement and, by a majority in Parliament, repeal the Northern Ireland Act 1998. The Belfast Agreement is one of the greatest threats to the constitutional integrity of the United Kingdom that we are ever likely to see. It has provided an all-Ireland dynamic that is fed by a continuing concession meter, designed to ease Northern Ireland, by stealth, into Dublin rule. 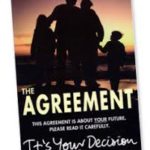 It is in this context that Irish Government have sought, as many anti-agreement unionists always warned they would, to use the Belfast Agreement as a Trojan horse, forcing Irish unity via the backdoor. Their latest contribution is to suggest some kind of ‘joint authority’ in the absence of an Executive. This ludicrous proposal only emboldens the wreckers of Sinn Fein. Why would they go back into the Northern Ireland Executive when the Irish Government is dangling the carrot of joint authority- a key republican staging post- as a reward for their intransigence? There will be no joint authority over Northern Ireland. This has already been made clear by the UK Government, but apparently no matter how many times it is said, the Irish Government and nationalism refuses to hear it. Again, another reason why the Belfast Agreement needs to go in the bin. The general point put forward by Mr O’Toole, and reflected in the headline, is that the Belfast Agreement binds the UK to Europe in regards to Northern Ireland. This is quite plainly factually incorrect. This very point, and indeed almost every conceivable variation of it, was tested in McCord’s (Raymond) Application  NIQB 85. The Northern Ireland High Court dismissed this challenge on all grounds. There is quite simply nothing in the Belfast Agreement that binds the UK to Europe. Therefore the whole premise of the piece by Mr O’Toole falls apart, especially in light of this matter already being adjudicated upon by the High Court. Whilst the whole basis of the piece is inherently flawed, it does helpfully shine a light on the contradictory nature of the iniquitous Belfast Agreement. This, one would hope, may go some way to strengthening the argument for repealing the Northern Ireland Act 1998. 94 Responses to "OPINION: Matthew O’Toole’s pro-Belfast Agreement piece in the Irish Times is factually incorrect"
this web site contains remarkable and truly good material for visitors. see how they write news headlines to get people to click. readers interested about what you’ve written. That is the precise weblog for anybody who wants to search out out about this topic. You understand so much its almost hard to argue with you (not that I truly would need…HaHa). You definitely put a new spin on a subject thats been written about for years. Nice stuff, just great! Helpful information. Lucky me I found your web site unintentionally, and I am shocked why this accident did not came about in advance! this point in time i am reading this impressive educational article here at my residence. net, but I know I am getting know-how everyday by reading such nice content. Along with almost everything which seems to be developing throughout this subject material, a significant percentage of opinions are very radical. On the other hand, I appologize, but I can not give credence to your entire suggestion, all be it refreshing none the less. It seems to everyone that your remarks are generally not entirely validated and in fact you are generally your self not wholly convinced of your point. In any event I did enjoy looking at it. With havin so much content and articles do you ever run into any problems of plagorism or copyright infringement? My blog has a lot of completely unique content I’ve either authored myself or outsourced but it appears a lot of it is popping it up all over the web without my permission. Do you know any methods to help protect against content from being stolen? I’d definitely appreciate it. I’m really enjoying the theme/design of your web site. Do you ever run into any web browser compatibility problems? A few of my blog visitors have complained about my site not working correctly in Explorer but looks great in Opera. Do you have any tips to help fix this issue? I like what you guys are up too. Such clever work and exposure! Keep up the excellent works guys I’ve incorporated you guys to my blogroll. Have you ever considered publishing an ebook or guest authoring on other websites? I have a blog centered on the same subjects you discuss and would really like to have you share some stories/information. I know my readers would appreciate your work. If you are even remotely interested, feel free to shoot me an email. Great website. Plenty of useful information here. I’m sending it to a few friends ans also sharing in delicious. And naturally, thanks for your sweat! are speaking intelligently about. Now i’m very happy that I found this during my search for something relating to this. Great website. A lot of useful information here. I am sending it to some friends ans also sharing in delicious. And certainly, thanks for your sweat! Superb post however I was wondering if you could write a litte more on this topic? I’d be very thankful if you could elaborate a little bit further. Many thanks! F*ckin’ tremendous things here. I am very glad to peer your post. Thanks so much and i’m having a look ahead to contact you. Will you kindly drop me a mail? I used to be very happy to find this net-site.I wished to thanks on your time for this wonderful read!! I positively having fun with each little bit of it and I have you bookmarked to check out new stuff you blog post. like to start a blog so I can easily share my personal experience and views online. back the desire?.I’m attempting to find things to enhance my website!I guess its adequate to use some of your concepts!! Pretty great post. I simply stumbled upon your weblog and wanted to say that I’ve really loved surfing around your blog posts. After all I’ll be subscribing on your feed and I’m hoping you write once more soon! I’ve been exploring for a little for any high quality articles or blog posts on this kind of house . sure to don?t forget this web site and provides it a glance on a relentless basis. from. Thank you for posting when you’ve got the opportunity, Guess I will just book mark this web site. few original thoughts on this subject. Seriously..